For the adventurous sort in San Diego, spiny lobster season means the opportunity for fresh lobster that you catch yourself while diving. Here’s what you need to know about taking advantage of spiny lobster season in San Diego. Why Are They Called Spiny Lobsters? The lobsters found off the coast of San Diego are different than the ones from the East Coast you often see on restaurant menus. 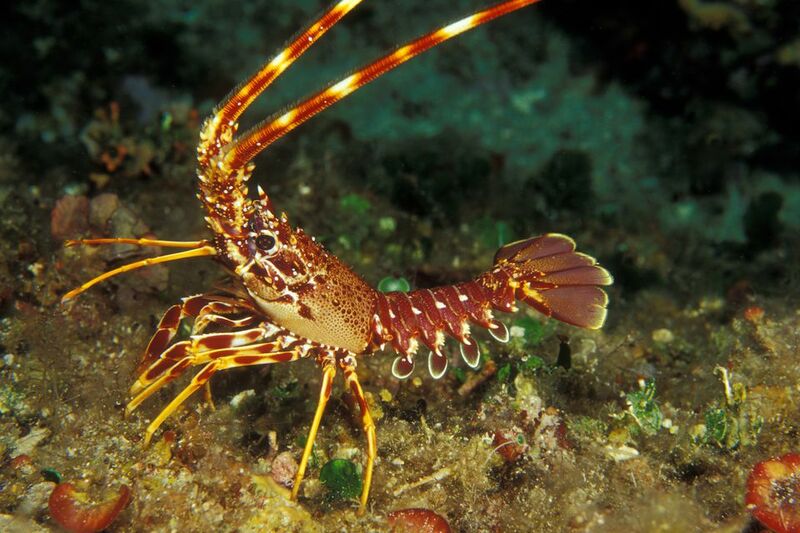 They are a bit tougher and have meaty tails with no claw meat (spiny lobsters don't have claws). You can still prepare them any which way you want once you get them home, though, just like a Maine lobster. San Diegans who love grilling may find it fun to take advantage of the warm winter months and plop their lobster on the BBQ. Steaming and sautéing also work well for cooking the delicate spiny lobster meat. Every year from the Saturday right before the first Wednesday in October to the Wednesday immediately after March 15, lobster fishing is allowed in San Diego. For those that want to give it a try, you must obtain a license that gives you permission to dive under the sea and catch these delicious critters. The license you need is a standard California fishing one with an Ocean Enhancement Validation added to it. Lobster season fishing licenses can be obtained through the California Department of Fish and Wildlife. Never go fishing without this license as you’ll need to show it onsite to avoid fines — plan on keeping it in your boat or with your gear on shore as long as it's within 500 feet from your point of entry into the water while you dive. There are strict rules for how you catch the lobster and the quantity of lobster you can bring out of the ocean with you. First off, you can only catch the lobster with your hands. No nets, spears or other tools allowed. Unless you have especially tough hands, you’ll likely want to invest in some diving gloves to protect your soft fingers from the sharp shell on the lobster. Secondly, the lobsters you catch must be a certain length. This gives baby lobsters the chance to grow into adult lobsters and spawn and continue the population every year. Spiny lobsters must be at least 3.25 inches from eye socket to the rear end of the shell (the area of the lobster right before that juicy tail) in order to catch. You can measure this efficiently with a premarked gauge sold at most fishing stores in San Diego. You’ll want to make the measuring as easy as possible since it must be done while you and the lobster are still in the water. No measuring on shore is allowed. Third, you can only catch lobster that you are planning on eating. Per the Department of Fish and Wildlife, the lobster must be kept in a whole, measurable condition until being prepared for immediate consumption. That means you must have a cooler or other storage facility waiting on shore to transport the lobsters into.